It’s about time the maker movement tackled display technology. 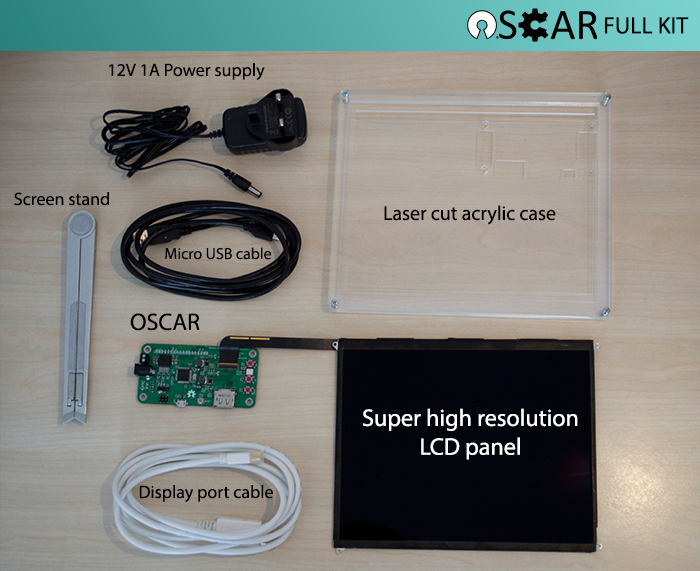 Enter OSCAR (Open SCreen AdapteR). It’s the sort of super high-resolution 9.7″ LCD panel you’d expect trapped inside something like an iPad, but you can connect it directly to a computer via Arduino. Now, the actual “DIY” bit here is pretty simple: it’s just the interface. But even just having the interface is fairly useful. The display tech itself remains mass-market, mass-produced, but by adding that raw display part to the interface, you can build your own projects – and there are clearly some installation and other DIY projects just waiting to happen. And people building installations and other projects get more than just the ability to output to the display. Because the Arduino-based hardware acts as the controller, you also finally get to control rotation, backlight brightness, and other parameters – just the stuff you’re missing when you try to mount iPads into displays. There are various versions here, depending on your needs; all work via DisplayPort/Thunderbolt. I’m not sure OSCAR would work for every application here – a tablet retains touch, crucially, which this lacks – but it could be a sign of things to come. And, of course, it’s on Kickstarter. GBP65 gets you the basic hardware; pricing goes up from there. The UK-based project ends in about a week.